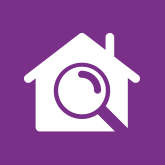 Take our latest app, House Inspector to your next property viewing. If nice weather and longer days inspired you to start looking for somewhere new to live, you may find our latest app, House Inspector, useful. 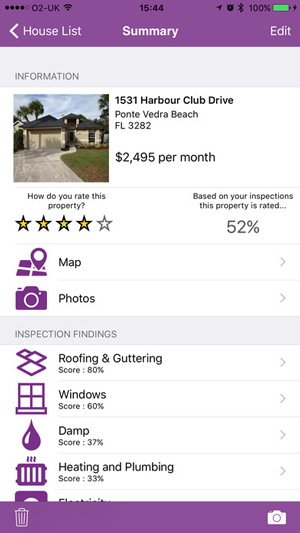 House Inspector App gives you a set of interactive tools enabling you to rate and compare the properties you have visited and lets you save photos and make notes during your house viewing. 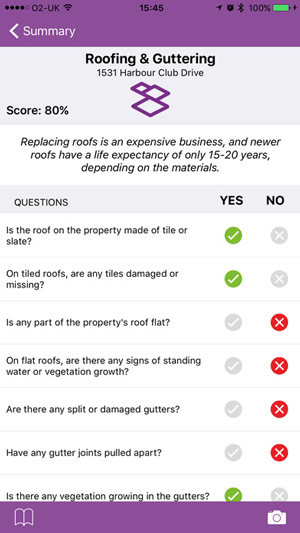 The app provides a checklist of things to look out for when you're viewing a property. In particular, the app saves information on the state of Roofing & Guttering, Windows, Damp, Heating & Plumbing and Electricity for your future reference. House Inspector provides a property score based on your inspection findings for all the properties you have visited and lists the properties in order of your ratings. You can take photos and make notes as you're viewing a property allowing you to remember and compare the houses you have seen. There is even a built-in compass, allowing you to mark which direction important parts of the house are facing! Once you've used House Inspector with a few house views, you'll create a list of the houses, with your ratings of each. This way, you'll be able to see clearly which ones you preferred! When comparing houses you're thinking of buying or renting, you will also need to add how much it will cost you to move into consideration. Here, the excellent Cost of Moving House Calculator should come in useful, which makes you aware of all the costs, such as surveys, estate agent fees, stamp duty and removal costs.